Disclosure: This is not a paid post. Just an honest review from a very satisfied paying customer who believes in spreading news of good deeds to everyone! 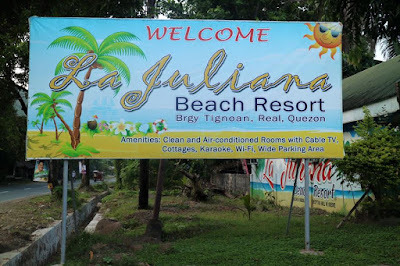 When we toured Bohol last January, I searched for affordable Bohol accommodations since we were travelling with both our parents. Google led me to El Portal Inn, a Department of Tourism accredited budget hotel in Bohol. Believe it or not, I was able to reserve our family room, which we shared with my mom-in-law, and 1 standard double room for my parents through email. Mr. Jose Gallardo, the one who replied to my email inquiry, immediately coordinated everything including our Day 1 and Day 2 tour itineraries. 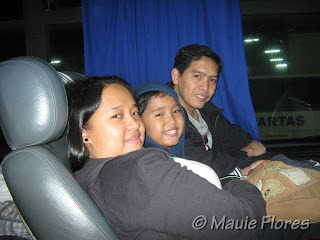 He also arranged for their free shuttle service to pick us up from the airport and to bring us back upon our departure. Since my boy is below 11 years of age, I was not required to pay for the extra head. The two rooms cost us Php 4,300 (inclusive of taxes) for our 3 days and 2 nights stay. I deposited Php 1,500 to the hotel's bank account and I paid the rest, including our dining bills, upon checkout. Both rooms are airconditioned and with cable TVs and hot and cold showers. There's also free WiFi not just in the lobby but even inside the rooms! The Standard Double Twin room where my parents stayed. We ate our breakfasts at their restaurant. The front desk staff took our breakfast orders the night before and so the food was ready by the time we went down to the dining area. Having breakfast before heading off to our Countryside Tour on our 2nd day. El Portal serves great food at unbelievably low prices. My mom sprained her ankle the night before our flight and my dad just recovered from a stroke so it was very convenient for us to just eat in the restaurant downstairs. We also ate our lunch upon arrival and also had dinner there during our first night. Their Butter Chicken is definitely a must-try! I commend all the staff members of El Portal Inn for being very accommodating and friendly. We were treated like VIPs. To think that it's not as luxurious as the bigger hotels in Bohol. My dad, for instance, was able to find a long lost Boholano friend because Manong Guard helped him find his friend's contact number! "Mabait iyan," ("He's kind,") my dad told me. My boy "reading" the day's news while sitting on the comfy Lazy Boy couches in the lobby. My mom-in-law said that she felt very much like a turista during our stay in El Portal Inn because everything that we needed were all taken cared of. From the shuttle service, to our tours, to our meals. You can even ask the staff to flag a tricycle for you if you want to go around the city (which my husband and I did the morning before our flight back to Manila). Yup, El Portal Inn lived up to its promise of providing the "Best Value and Comfort" for my money. El Portal Inn is located at 56 Belderol St. Tagbilaran City, Bohol. You can visit their website, send an email to elportalinn@yahoo.com, or call +63-38-411-2124 or +63928-7591352 for inquiries and reservation. Nice review! Very helpful! Thanks for sharing this! hi! may I ask about the price range of the menu of their restaurant? I'm doing a budget of our trip and I'm thinking of how much should I allot for food. do you think a 200php per person per meal budget is enough? btw, i'll be staying at El Portal inn later this month. i find your blog to be so helpful. Hi, Shines! 200/person/meal in El Portal is more than enough. I remember that one ulam costs below 200 pesos and the servings are for sharing. Breakfast meals for extra persons are within the 120-150 range and that's already with coffee/fruit juice. You can email El Portal for more details; the prices may have changed. Thanks for your visit. how much did you spent for your trip in bohol? including the rates of the room? how many days and nights you've stayed there? and the tour packages? lunches for 6 people (excluding loboc) 750/lunch x 2 days = 1,500 approx. dinners for 6 people 750/dinner x 2 nights = 1,500 approx.